A pair of galvanized nails peer out from under a layer of lichen on the fence. 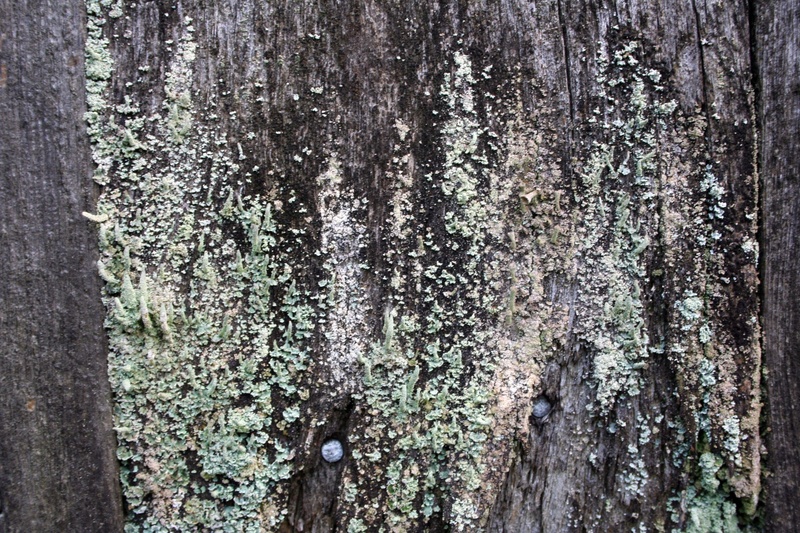 Trivia: did you know that moss does not necessarily grow only on the north side of the tree? If you were to get lost in the rain forests of the Pacific Northwest and used the moss growing on the sides of the trees as a directional, you’d walk in circles.